I gotta be honest, boots make me happy. 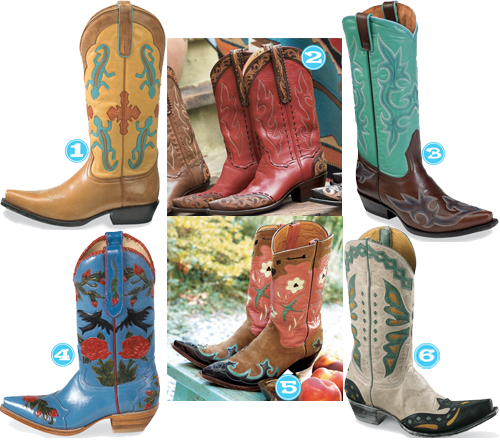 And when I opened up the latest Crow’s Nest Trading Co. catalog I got giddy what with all the colorful boots in there. GOOD LORD, the boots people, THE BOOTS, they are CUTE! I got my Corral ones from Langston’s. Love them! @Danielle I’ve heard really good stuff about Corral boots..I think Sarah and Der both have some and love them too!